My riding instructor invited me hunting when I was 15 years old. The thought of riding through France’s foggy woods seemed romantic, adventurous, and disarmingly elite. I desperately wanted to say yes, but I had a squeamish feeling I just couldn’t shake. Bottom line? I didn’t want to kill my dinner and I didn’t want to watch other people kill their dinner. Thankfully, I didn’t have to. I was surrounded by supermarkets, cafes, street vendors, and – just down from our house – carrot and mushroom farms. I could eat whatever I wanted, whenever I wanted. I said no. In Equatorial Guinea, killing dinner is not always a choice. The rural people are known for hunting and fishing for their dinners because this is the cheapest and most available way to eat. 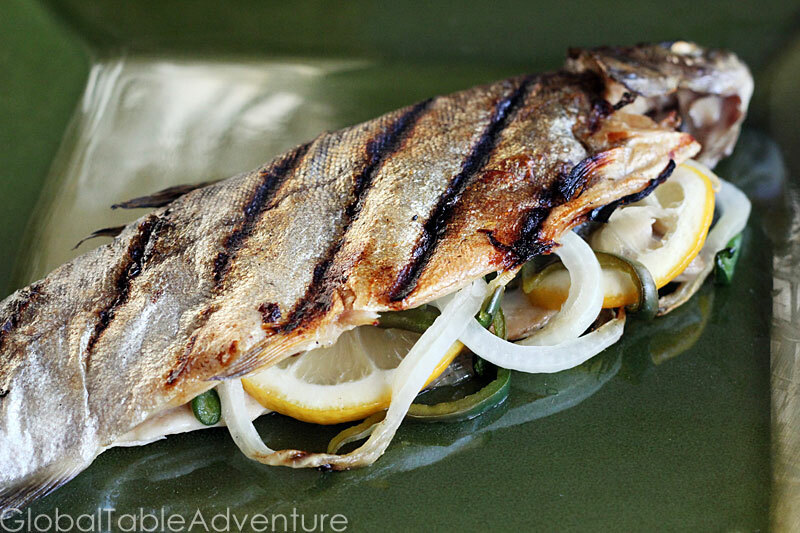 Whole fish [Recipe], crustaceans, and various small animals are sold at the market – piled on little more than cardboard lined tables. 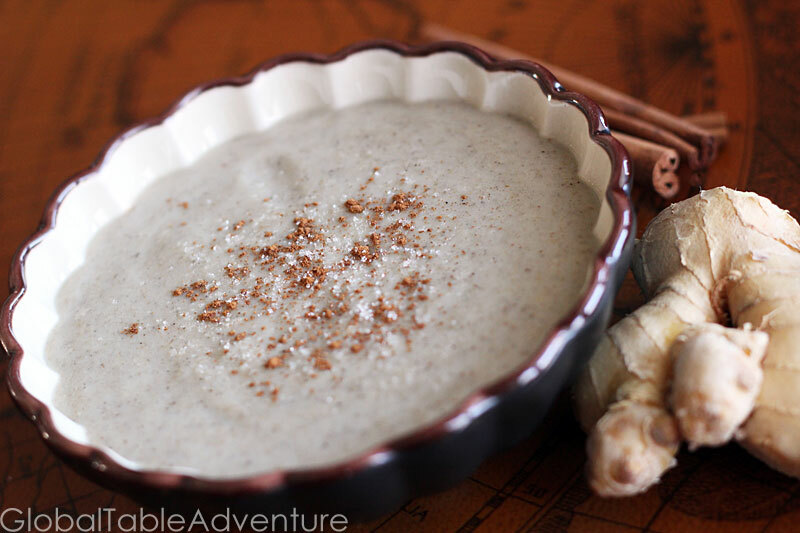 Game is typically grilled, stewed, or fried and served with porridges – either gari (made from cassava flour) 0r thick millet porridge [Recipe]. Filling and affordable, porridge is also served for breakfast. As far as vegetables go, they eat all manner of dark greens – anything from spinach, and kale, to more exotic fare, like sweet potato and cassava leaves. 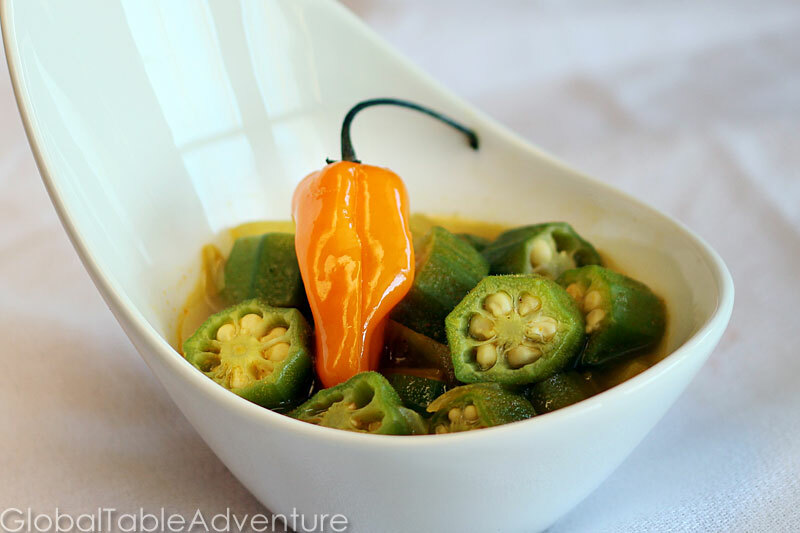 Okra is grown and enjoyed stewed with hot peppers and curry [Recipe]. Peanut sauces reign supreme, as in most of west and central Africa. If you have a sweet tooth, go for a piece of fresh fruit. You’ll be right in line with the people of Equatorial Guinea. Do you love International Cuisine? So does Sasha Martin. After all, she lived in Europe for six years and traveled to 11 countries before her 18th birthday. Then, while earning her B.A. at Wesleyan University (Middletown, CT), she wrote an honors thesis entitled “The History of Artisan Bread Baking in France.” After college, Sasha attended the Culinary Institue of America for a year (Hyde Park, NY). In 2005, her CIA internship brought her to Bama Pie’s R&D kitchens, right here in Tulsa, Oklahoma. Not long after she got here, Sasha met the love of her life and decided to stick around. 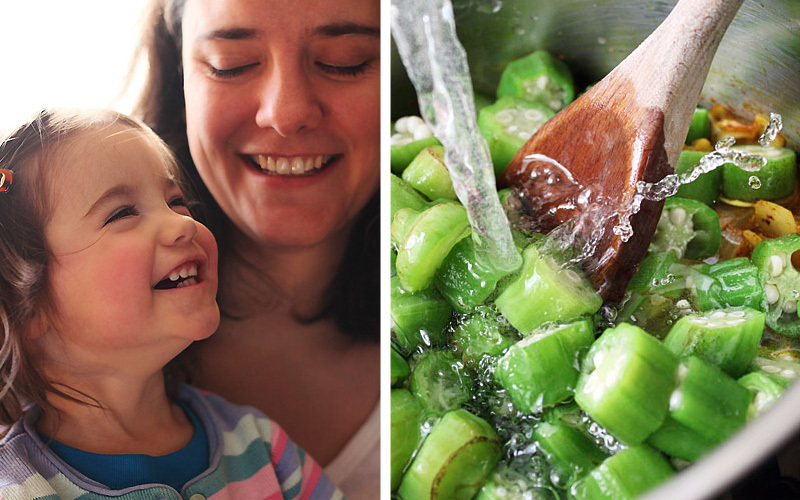 There was just one problem: she missed the foreign foods she grew up with. A lightbult went off when she realized “Hey, I can make international foods right here in Tulsa!” and that’s just exactly what she’s doing.